We have entered into multi-year agreement with CVTC for hosting future autocross events at their main parking lot location on Clairemont (aka "The Big Lot"). Our event date for 2019 as part of the Met Council Autocross Series is June 23rd, 2019. Details coming soon! If you are interested in Autocrosses, and are willing to drive just a bit, there are many opportunities to get out and see what you, and your car are capable of. 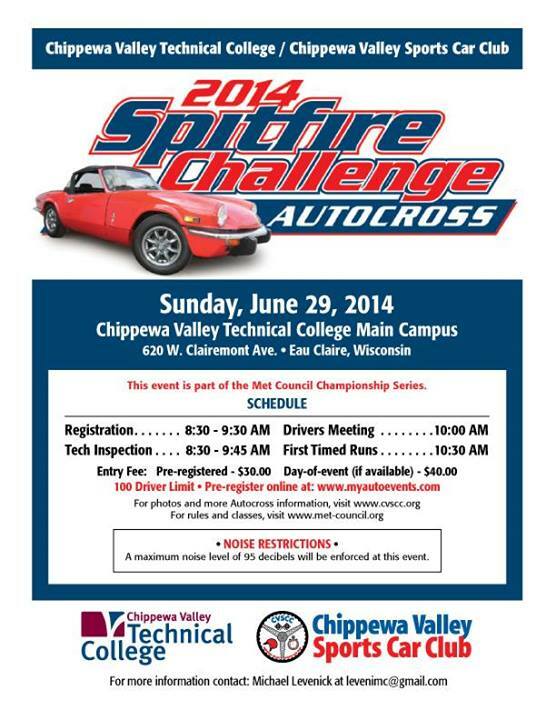 The Chippewa Valley Sports Car Club, is a member of the Metropolitan Council of Sports Car Clubs (Met Council), and our two autocross events each year are part of the Met Council Series. CVSCC has been a part of the Met Council Series since 2006, all past and future autocross event results are posted on their website. Click for a list of all Met Council events. 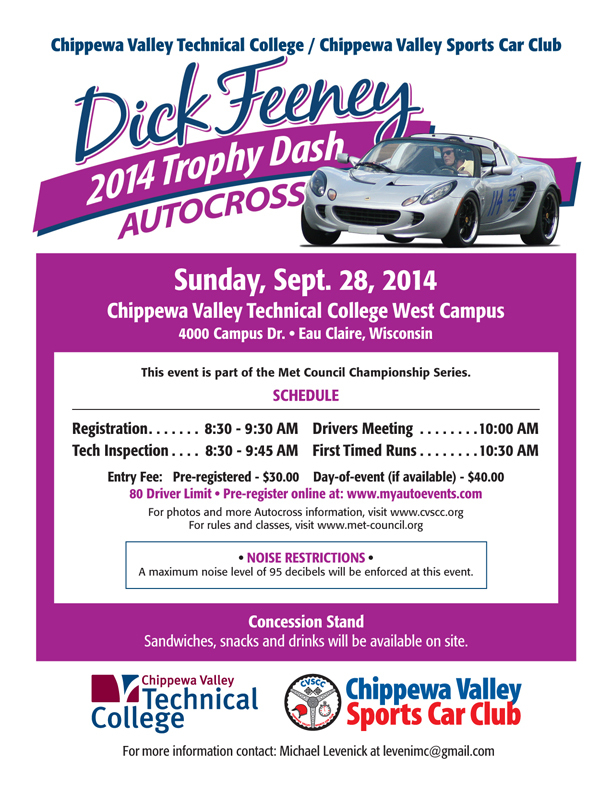 ​6/7/2015 CVSCC "Members Only Autocross"
Facebook Event Link - Share the event with your friends, or post a picture of what you are running! Event is now Pre-registration only.